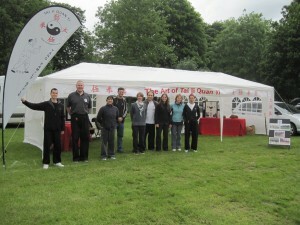 Are you interested in learning the Art of Tai Ji Quan (Tai Chi Chuan)? A quick resume follows; we instruct the Art of Tai Ji Quan (Tai Chi Chuan) in the traditional style of the Yang Family Long Form. Shifu or Sifu, David Miller, has over 30 years experience of Tai Ji Quan, teaching Tai Ji classes and descends from a lineage to be proud of. 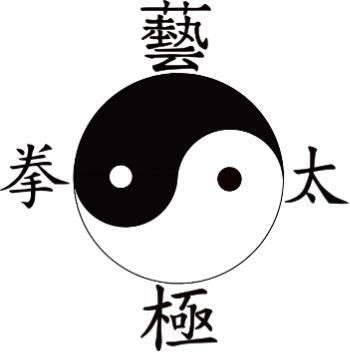 All instructors have coaching qualifications obtained through the BCCMA (British Council for Chinese Martial Arts) and all have in excess of 16 years experience of Tai Ji Quan practice and the teaching of Tai Ji Classes. We have a full curriculum to suit the most fastidious of students who wish to achieve a deep understanding of this celebrated form. Preparatory exercises (encompassing mindfulness), Qigong incorporating Dao Yin, specific walking exercises, Slow Form, Small Circle set, Double Edge Sword (Jian), Rattan Whip, Dao (Sword). This forms the basis, but we also instruct the Ball, Bang and Ruler to more advanced students. From the very start of Tai Ji Quan the student is involved in a learning process (relaxation while exercising) which will be unique if you've never had the experience of learning a soft Martial Art before. If you wish to keep or gain good health and maintain flexibility into your dotage Tai Ji Quan is for you. We don't just wave our arms about as many Tai Ji groups do; this is studied and tailored for the individual, sculpting and honing the body thus enabling constant relaxed balanced movement, with detailed dexterity. Incidentally, to obtain the above you have to get through the first few weeks where you will find there is so much to learn you may wonder whether you can finish the introduction course, but please look around the class and you will notice students of all ages and abilities who have had the patience and determination to overcome those difficult first few weeks and have obtained a new kind of fitness that is sustainable. This is most certainly not a boot camp though our criteria is that the student must have a clear understanding of what is required in response to instructions. We know the benefits are real but there are five essentials to address during your Tai Ji Quan journey. Perseverance, Patience, Humility, Respect and Belief. These are essential to mastering any art or anything worth achieving. Classes are located around East Hertfordshire in the towns of Bishop's Stortford, Chelmsford, Saffron Walden, Royston, Plymouth and Ivybridge, Devon. If you like a challenge that will test every part of you then Tai Ji Quan could be for you, please give me a call or use our contact form to send me a message, you have nothing to lose.